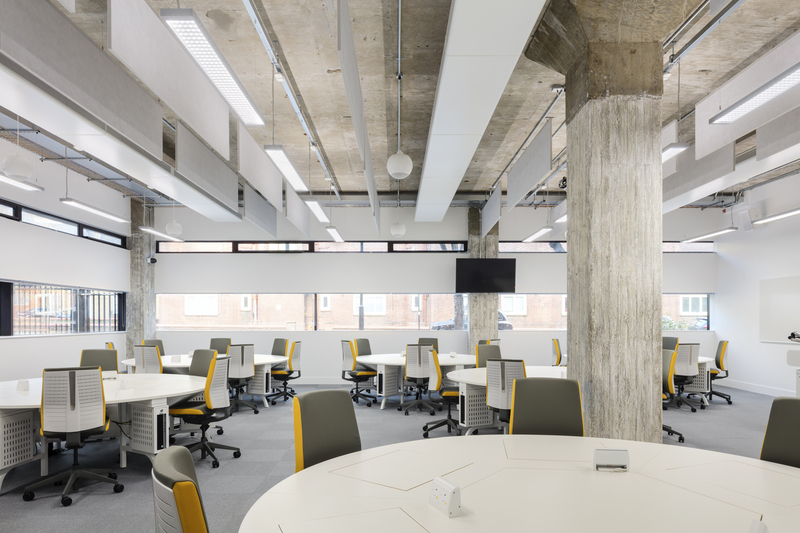 An ambitious refurbishment project for City, University of London. 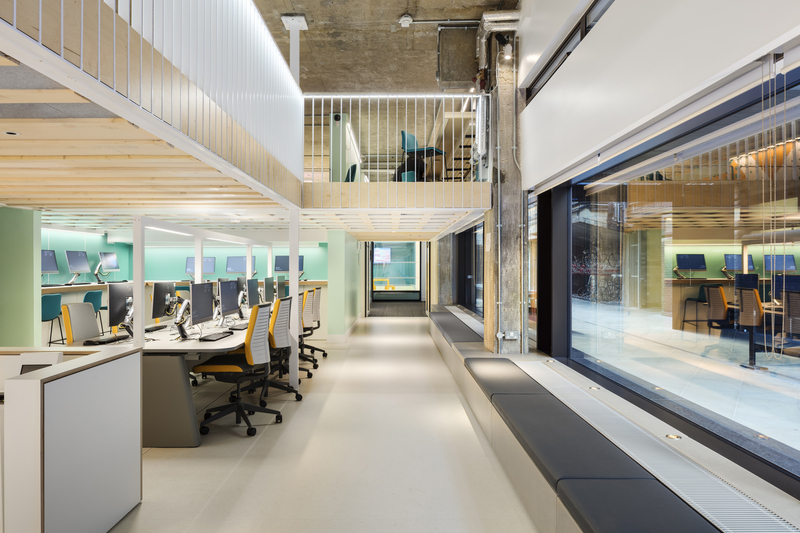 LTS Architects were commissioned to spatially rethink the ground floor IT teaching spaces and labs of the ground floor of the Drysdale Building on the main Islington Campus. 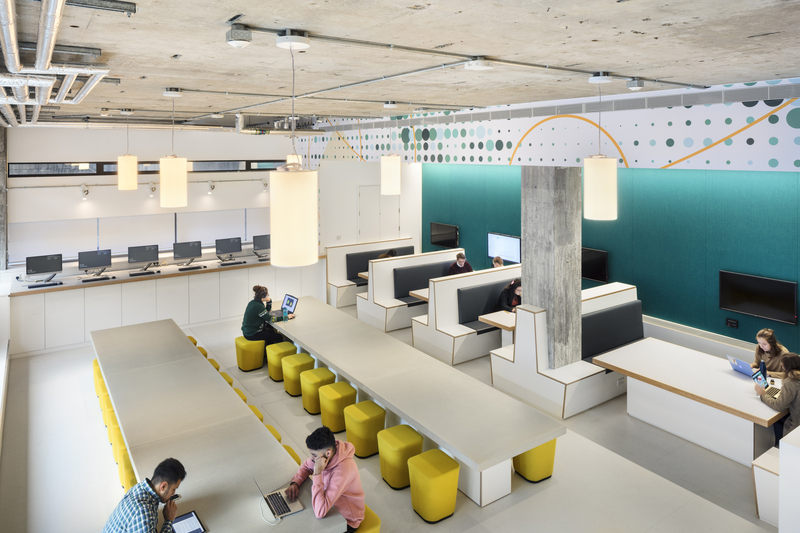 LTS Architects were commissioned to redesign the Drysdale Building ground floor IT teaching spaces and labs. 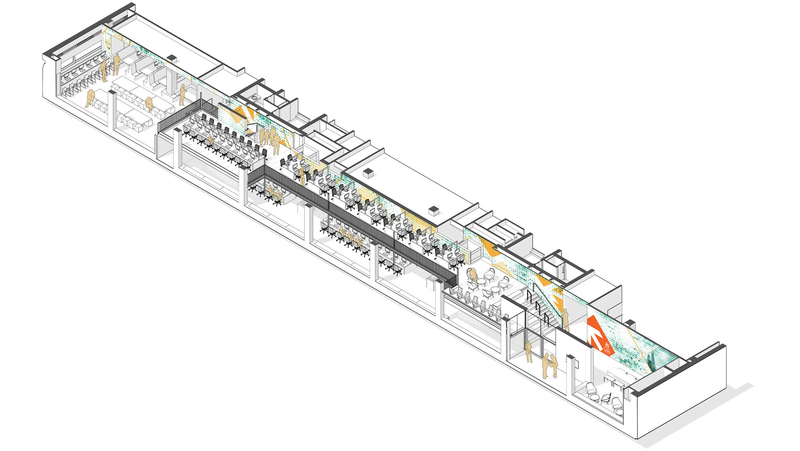 Our design clearly separates the teaching labs to the north from the more fluid ‘open access’ areas to the south. 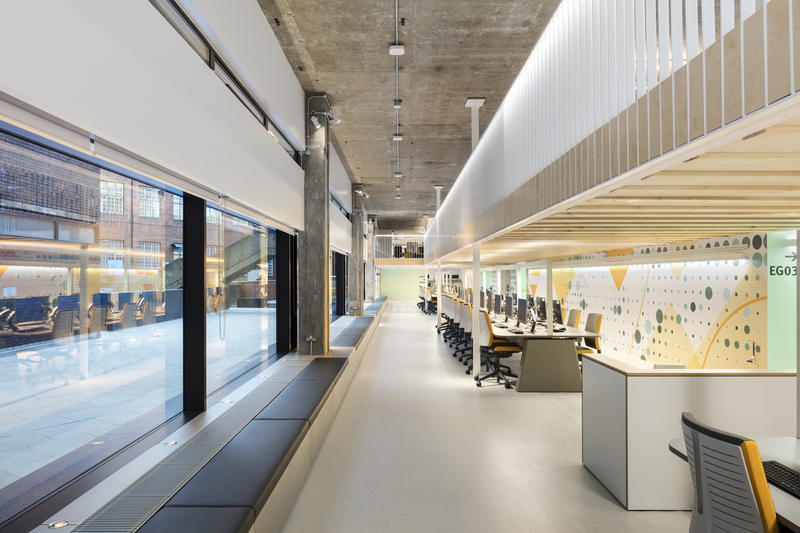 Taking advantage of the generous floor to ceiling heights, we designed a new mezzanine floor. 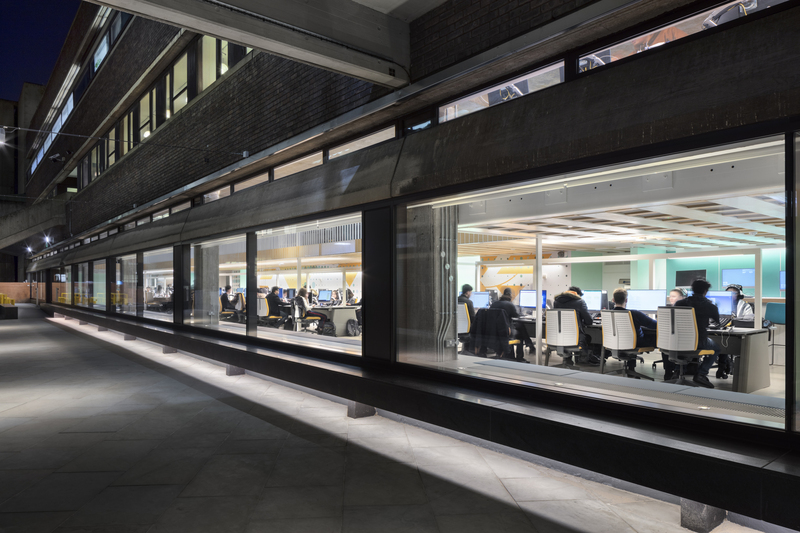 With this and the increased efficiency of the plan generally, we increased computer numbers from 244 to well over 400 within the same floor plate. 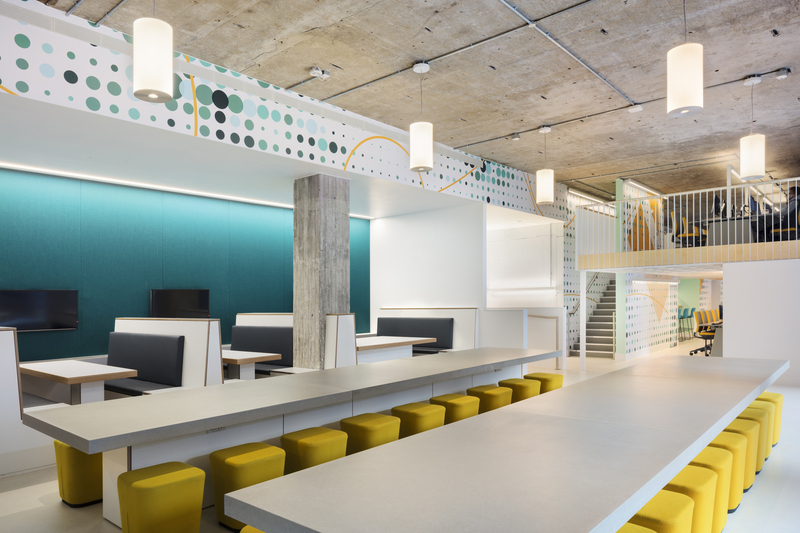 The entire space is unified with a graphic wall which brings colour and life to the spaces while also incorporating wayfinding and signposting. 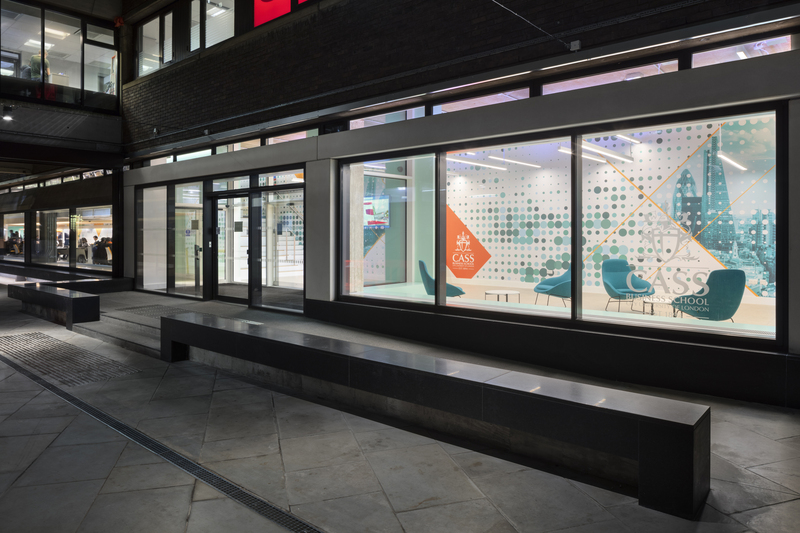 We introduced an entirely new entrance at ground floor which ties the refurbished space together with the new main entrance development. 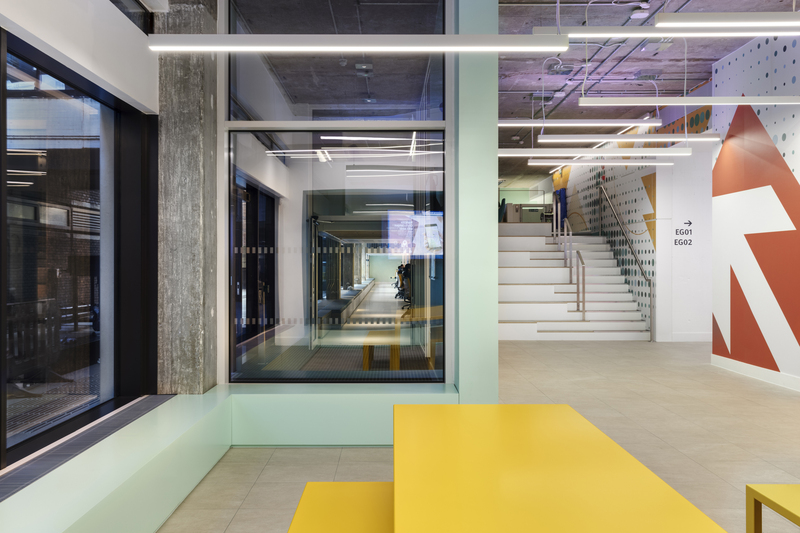 The new materials introduced to the façade take their cue from the existing palette, with precast concrete lintels framing the new openings of a welcoming reception area. 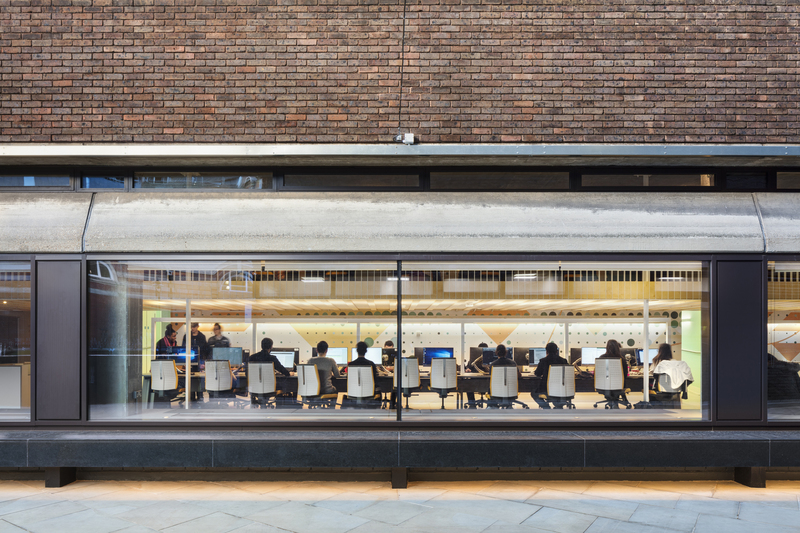 The new and old are all grounded on a plinth of black granite which folds to create entrance ramps and external seating for the students to congregate.